Saturday, January 14 Makar Sankranti 2017. This Day also called as the Kites Festivals. we celebrate every year on 14th or some time 15th January. 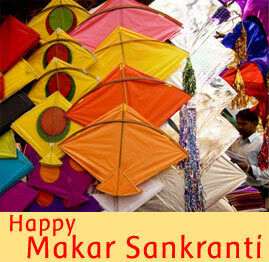 Makar Sankranti is a Hindu festival celebrated in almost all parts of India, Nepal and Bangladesh in many cultural forms. It is a harvest festival that falls on the Magh month of the Nepali calendar.